In this Special Report, Billie Tarascio, Mary Juetten, and Duncan Stewart stop by to talk about measuring your firm’s performance as a business and predictions for future ways to interact with clients. Tune in to hear about net promoter scores, conversion rates, and the costs of acquiring new clients. In addition, they move on to discuss preferred technologies for millennials, print vs. digital for news and books, and when it’s appropriate to use the phone over an in-person visit. Billie Tarascio is a family law attorney, legal innovator, and entrepreneur. She has created a DIY software for litigants that helps minimize legal costs. Billie is a frequent speaker and presenter on issues related to legal technology, practice management, law firm development, and family law. 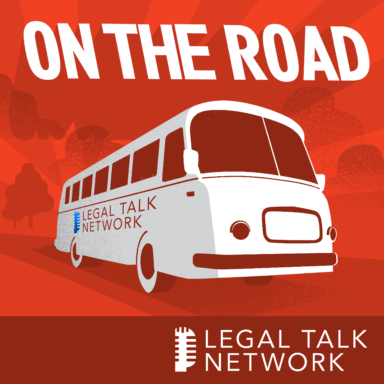 Mary Juetten is the founder and CEO of Traklight and the co-conspirator behind Evolve Law. She specializes in helping companies in transition or startup to create sustainable, operational, and financial growth. Mary created the only self-guided software platform that creates a custom business risk strategy and automates the client question and issue-spotting process for businesses and IP attorneys. Duncan Stewart is the director of TMT research for Deloitte Canada. He is a globally recognized expert on the forecasting of consumer and enterprise technology, media, and telecommunications trends. In his time as an investor, he deployed a cumulative two billion dollars of capital into global TMT markets.